St Kilda is an inner suburb (neighbourhood) of the metropolitan area of Melbourne, Victoria, Australia, 6 km south-east of Melbourne's Central Business District. When in St Kilda, make a side trip to see Werribee Open Range Zoo in Werribee, approximately 38 minutes away. 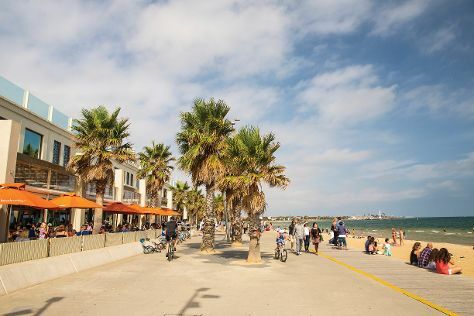 Next up on the itinerary: tour the pleasant surroundings at St. Kilda Beach, take in the waterfront at St Kilda Pier, explore and take pictures at Rippon Lea Estate, and take an in-depth tour of Jewish Holocaust Centre. To find photos, more things to do, ratings, and tourist information, go to the St Kilda road trip planner. Devonport to St Kilda is an approximately 3-hour flight. You can also ride a ferry. Prepare for somewhat warmer weather when traveling from Devonport in October: high temperatures in St Kilda hover around 23°C and lows are around 11°C. Finish your sightseeing early on the 8th (Tue) to allow enough time to travel to Glenelg. The oldest European settlement on South Australia's mainland, Glenelg is named after a former Secretary of State for War and the Colonies, Lord Glenelg. 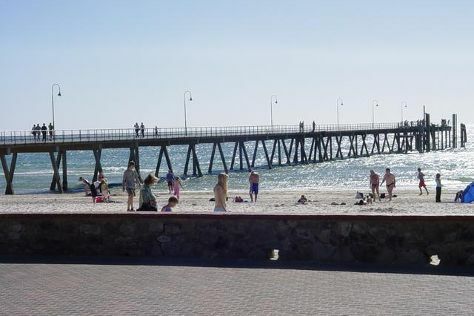 Kick off your visit on the 9th (Wed): look for gifts at Haigh's Chocolates Glenelg, then tour the pleasant surroundings at Glenelg Beach, and then take in the waterfront at Glenelg Pier. To find ratings, traveler tips, where to stay, and other tourist information, go to the Glenelg itinerary site . Getting from St Kilda to Glenelg by flight takes about 4 hours. Other options: drive; or take a train. Expect a daytime high around 26°C in October, and nighttime lows around 12°C. Finish your sightseeing early on the 9th (Wed) so you can travel back home.